Roof Eidam & Maycock employs a team approach to obtain the results you seek. Broad-based financial planning requires multiple types of expertise and perspectives, so we employ a team-based approach to create customized solutions. 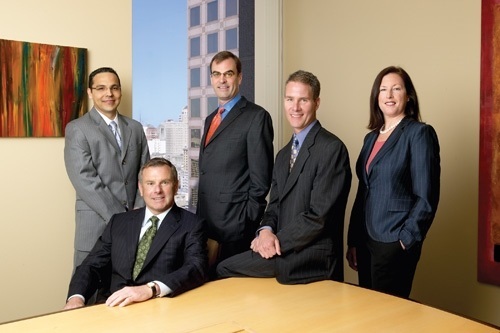 Each team includes a financial planner and a financial advisor who work in conjunction with your personal advisors and our firm’s other financial specialists and advisors. The team considers every detail of your financial affairs carefully and systematically to ensure excellence in the preparation and implementation of your plan. How does our independence help you meet your goals? As an independent firm, Roof Eidam & Maycock has no obligations to investment product manufacturers and no cross-sell quotas or other home-office directives that may lead to conflicts of interest. We don’t spend our time in meetings or on conference calls with far-off senior management. Our sole focus is serving our clients. We provide unbiased financial planning and investment advice, based on a thorough understanding of your unique circumstances and philosophy about wealth management. We offer the benefit of our experience, education and professional training to help you reach your personal financial goals. Roof, Eidam & Maycock is a Registered Investment Advisor (RIA), registered with the U.S. Securities and Exchange Commission. We manage more than $500 million for our 300 individual and institutional clients.